Congratulations to Eric Bourdon, a fourth year student in the Bachelor of Physical and Health Education program for his prize winning presentation titled: “Biomechanical changes during independent crank cycling”. Eric performed the research presented as part of his fourth year project in the biomechanics lab under the guidance of his supervisor professor Dr. Dean Hay. 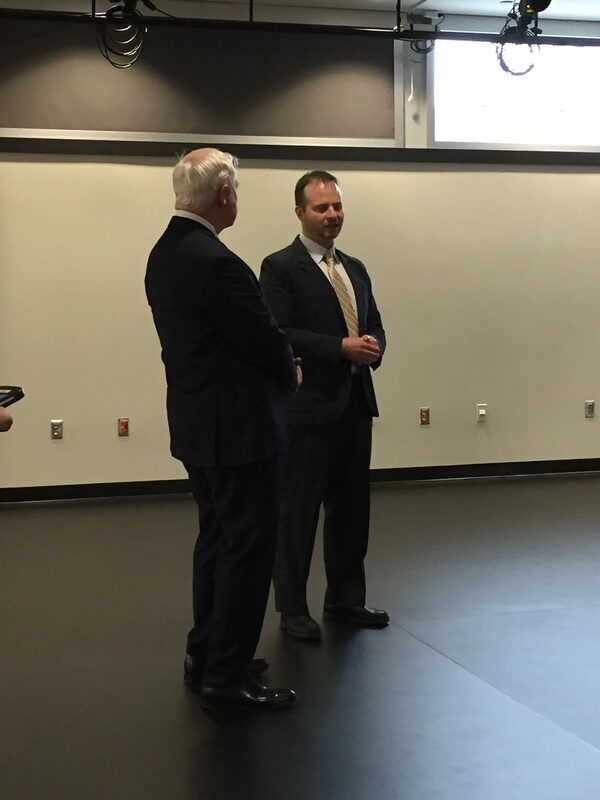 The Nipissing Biomechanics and Ergonomics Laboratory was privileged to welcome His Excellency the Right Honourable David Johnston, Governor General of Canada for a tour of the lab as part of his March 31, 2016 visit to North Bay. A brief demonstration of the motion capture system was performed and Dr. Dean Hay discussed the research performed as well as the future goals of the BPHE department. 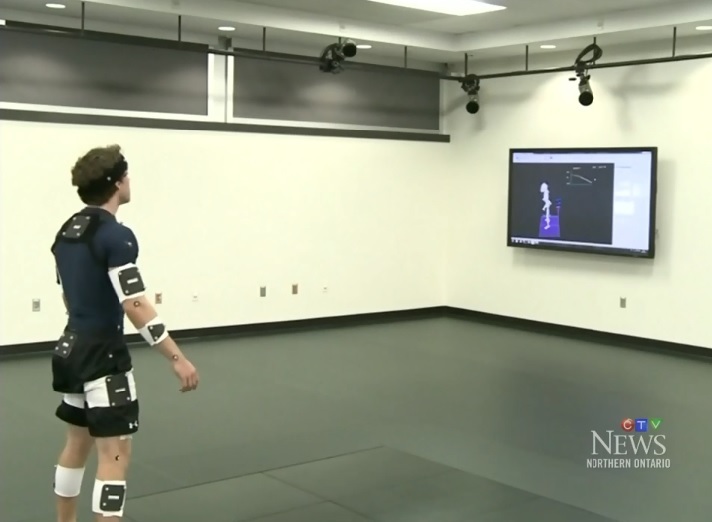 The Biomechanics and Ergonomics Laboratory and the Centre for Physical and Health Education were discussed recently in the special section of the Toronto Star in an article on Northern Health Research. Congratulations to Daniel Southwell and Matthew Mavor for winning podium presentation awards at the Nipissing University Undergraduate Research Conference! Daniel’s research talk was entitled: “The Acute Effects of the Abdominal Drawing-In Maneuver on Spine Stability”, whereas Matthew’s talk was entitled: “Exploring the Relationship Between Local and Global Spine Stabilities During Repetitive Lifting Tasks”. 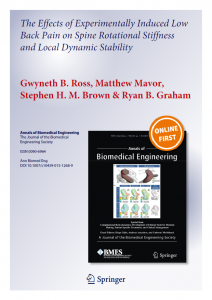 Congratulations to Gwyneth Ross and Matthew Mavor on their new paper published in Annals of Biomedical Engineering. This is Gwyneth’s first lead-author publication and Matthew’s first publication! 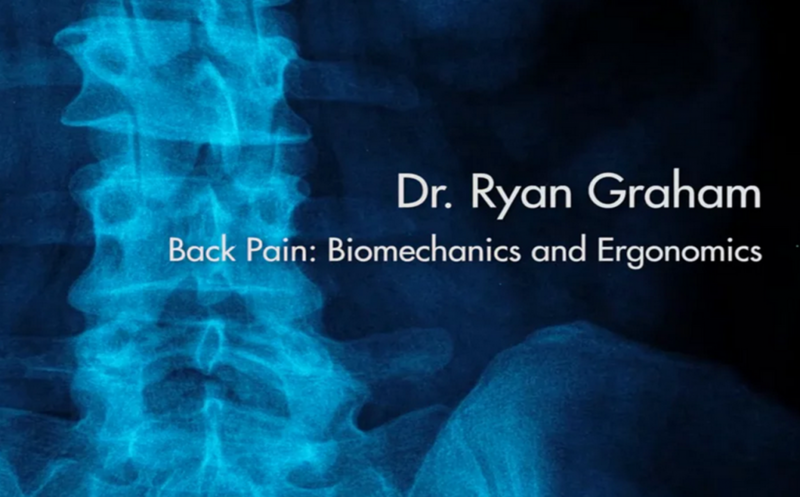 Nipissing University recently produced a video outlining Dr. Graham’s research program focusing on the biomechanics and ergonomics of low back pain. Click on the photo to take you to video. CTV News Northern Ontario was recently at Nipissing to discuss CFI funding and how the university is gaining momentum as a research institution. Click on the photo to take you to their website to watch the full video. Dr. Ryan Graham’s CFI Funding is announced. From left to right: Dr. Ryan Graham, Dr. Adam Csank, Nipissing-Timiskaming MP Jay Aspin, Anthony Rota, Director of Government Relations at Nipissing University, Dr. Graydon Raymer and Nipissing University president Mike DeGagné. Choose a link below to read more about this announcement. The Biomechanics and Ergonomics Laboratory at Nipissing University is now open.